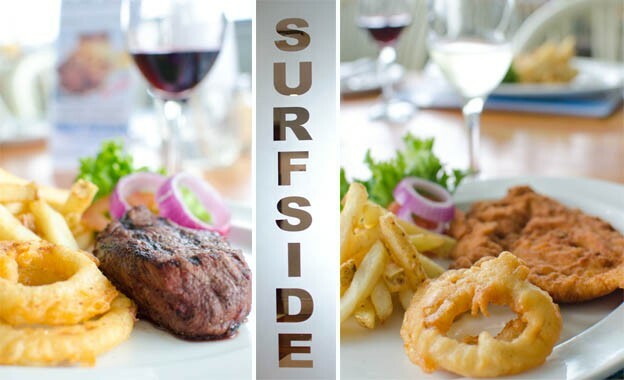 The Surfside Restaurant over the sea is the perfect venue for wining and dining. Savour our glorious seafood and grills and then dance the night away. 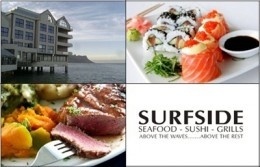 The Surfside group affords diners first rate dining from early breakfast in the Bistro to festive parties and wedding banquets. 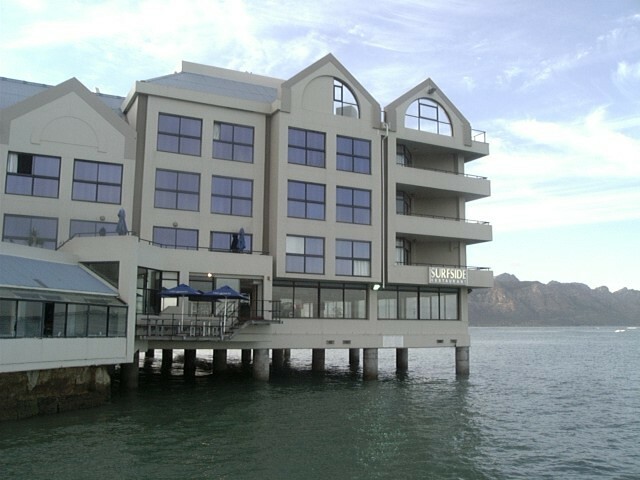 While dining or enjoying a cocktail in Fat Cats Cocktail Lounge & Bar take in the marvelous sunsets over False Bay with its breathtaking mountain backdrop. Monday's,Wednesday's & Sunday's offer diners a 50% Discount on in house ordered cocktails in the Fat cats Cocktail Bar or in the Restaurant. 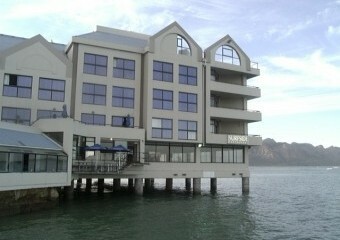 Stephaan van Rensburg will tantalize your taste buds preparing dishes with an exciting blend of herbs and spices. 200g Beef fillet, stuffed with mussels & topped with Cheese, Mushroom sauce and Prawns. Fat Cats Cocktail Lounge: 11 am to late.